Lately, reports are appearing in the bourgeois press that Pushpa Kamal Dahal aka ‘Prachanda’ has again sided with the revolutionary faction on some issues. Reports like the following, however, should be taken with some skepticism. This article is from myrepublica. Student protesters, including the revolutionary student group associated with the UCPN(Maoist) are planning to protest against rising fuel prices, which are partially due to companies hoarding supplies. 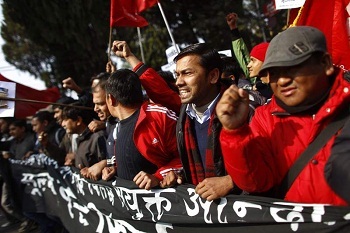 The protests will occur outside of Nepal’s most prominent government institutions. This article is from myrepublica. The following is a document presented to the UCPN(M) Central Committee by Vice Chairman Mohan Baidya ‘Kiran’. 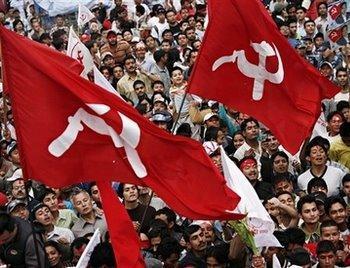 It is long, but important for understanding the current situation facing Nepal’s Maoist party. As one might expect, it discusses many of the dangerous choices made by some leaders of the UCPN(M), including the dissolution of the People’s Liberation Army, the BIPPA trade agreement with India, and the failure to make necessary preparations for revolt. In the Chunbang meeting, the UCPN(M) collectively recognized that the reactionary parties, like Nepali Congress and the Communist party of Nepal (United Marxist-Leninist) would try to turn the government into a bourgeois parliamentary republic. This is precisely the situation the Maoists have been facing for the past 5 years, as the bourgeois parties have been doing everything in their power to prevent a new, revolutionary Nepal. The piece also explains, quite candidly, that democratic centralism has broken down within the party and is “a mess”. He even goes as far as to say that the leadership of the party has “acted against the people,” and that class divisions have risen within the party. These are hard words, speaking to a bitter, difficult situation. Ultimately though, the document is not pessimistic. Kiran argues forcefully that revolution is still possible. His general plan affords more priority to mass mobilizations, or the “street front” than the parliamentary front. The plan also involves the strengthening of cultural and educational programs within the party, as well as the “People’s Volunteers,” a people’s fighting force that can be mobilized in the absence of the PLA and the Young Communist League. The document also demands that the party refuse to compromise on a constitution that does not meet the needs of women, oppressed nationality groups and those from oppressed castes. The ideological divides within the UCPN(M) are deep. This document will not heal many of those schisms, nor does it provide answers for all of the questions facing Nepal. But it does show that there are revolutionaries within the party who have a broad outline for future struggle. Thanks to Frontlines of Revolutionary Struggle for making this document available. 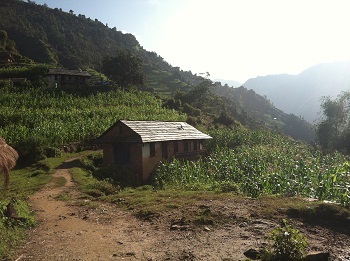 Nepal: New class struggle in the countryside? 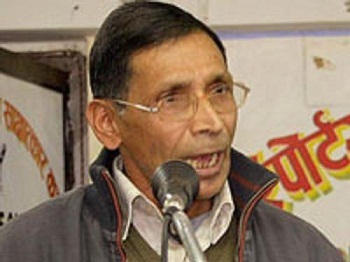 The UCPN (Maoist) would take an official decision to return the private and public properties seized by the party during the armed conflict to the rightful owners for their use by Nov 23. Due compensations would be paid to the owners for the loss caused by the seizure of properties. Reportedly, much of the land was indeed returned to its owners. 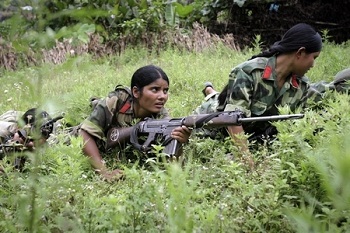 But now, it seems revolutionary Maoist cadres are again confiscating the land and returning it to the people. Though this article is from the bourgeois press and may be inaccurate, it reflects similar incidents reported elsewhere. It originally appeared at The Himalayan Times. The line struggle in Nepal continues. 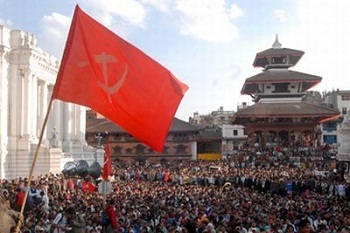 One wing of the Unified Communist Party of Nepal (Maoist) has formally dissolved the Nepalese People’s Liberation Army, authored a dubious trade agreement with India and has forced peasants to return land confiscated during the People’s War. In contrast, revolutionaries within the party maintain a commitment to taking state power and sweeping away the current oppressive apparatus. 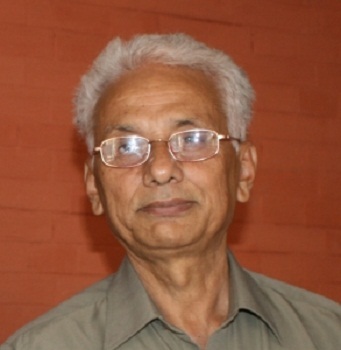 In the following interview, Mohan Baidya ‘Kiran’, Vice Chairman of the UCPN(M), discusses some of the complexities of making revolution in Nepal. One of these is the country’s geographical position. Locked between two major powers, India and China, Nepal would face a precarious situation if a revolutionary government was forced to cut off trade with those countries. At the same time, for Nepal to build socialism, it must free itself from the economic and political power India wields over the country. The term ‘expansionism’ is used to describe this unequal relationship between the two countries, without regarding India as an imperialist power like the US. This situation requires a new revolutionary approaches, like the ‘fusion’ between people’s war and urban insurrection Kiran mentions. The timing of this interview is noteworthy, as it comes in response to a recent document by Prachanda, which argues that the party should continue in a non-revolutionary direction. The piece appeared in The Red Star, an English-language publication of the revolutionary wing of the UCPN(M). We want to maintain a good neighbourly relation and go ahead by honouring each other’s national integrity and reverence with both of these countries. This article originally appeared in the English version of The Red Star, a voice of the Revolutionary forces within the UCPN (M). Many members of Nepal’s People’s Liberation Army are deeply disturbed by the Seven-Point Agreement between Bhattarai, Prachanda and the leading bourgeois political parties. This agreement would effectively dismantle the PLA and leave the country without a standing military force in the service of revolution and liberation. Without an army in service of the people, it will be extremely difficult, if not impossible, for Nepal to solve the problems of feudalism, Indian expansionism and imperialism that plague the country. This state of affairs is very precarious and uncertain. As the commander wonders in the interview below, “where are we being driven to?” At the same time, Nepal’s people, and the revolutionary wing of the UCPN(M) continue to fight for New Democratic revolution and a socialist path. This interview originally appeared in The Red Star, which has emerged as the English-language voice of the UCPN(M)’s revolutionary faction. Is People’s Liberation Army satisfied with this running process of regrouping ? 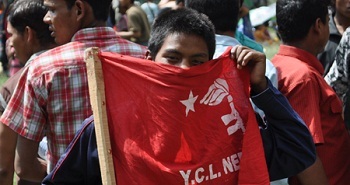 Revolution in South Asia continues to provide news about the ongoing line struggle within the Unified Communist Party of Nepal (Maoist). 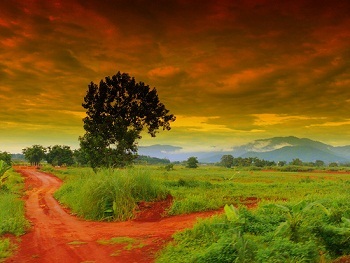 One section of the party believea a path to socialism is impossible in Nepal at this time. 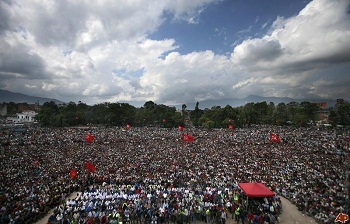 The other wants to continue the revolution to its completion, moving Nepal forward to New Democracy and socialism. The following article features statements by a leader of the revolutionary faction within that party. 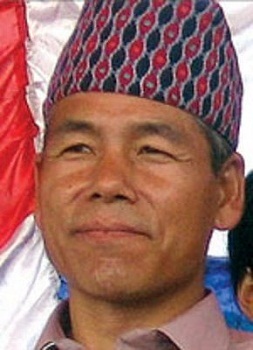 It originally appeared at redstarnepal.com, which has emerged as the English language voice of the revolutionary wing of Nepal’s Maoists. Kathmandu, November 19: Chief Whip of Unified Communist Party of Nepal (Maoist), Dev Gurung has said that uncompleted people’s war and revolution need to be finalized to its goal. Speaking to an inaugurating ceremony of Nagarik Yuwa Bikas Club Saturday in Kathmandu, he said that grass roots people’ s mandate has not been fulfilled. 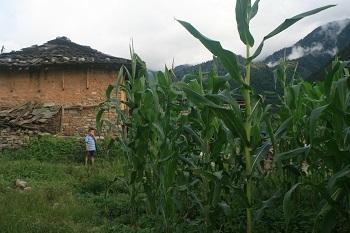 One of the aims of the People’s War (1996-2006), was to provide “land to tiller,” or free agricultural land for peasants to farm individually or collectively. To accomplish this, the Unified Communist Party of Nepal (Maoist) helped peasants confiscate lands from feudal lords or rich landowners. 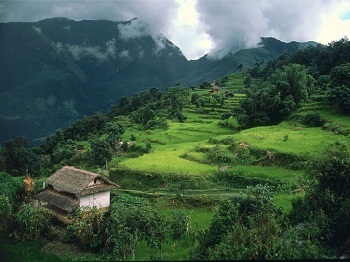 This was especially necessary in the heavily-populated Terai region in Southern Nepal, where arable land is scarce relative to the population. However, according to the terms of the recent Seven-Point Agreement, peasants have been ordered to return much of this land. Peasants who are part of All Nepal Peasants Federation-Revolutionary are refusing to do so. This development is especially interesting, as some leaders of the ANPF(Revolutionary) are aligned with Prachanda, who signed the seven-point agreement. What this means, if anything, is not clear. This address was at the press-meet by Comrade Badal which was held in Kathmandu against the 7-point agreement made the night before. Today is the historic day for all of us in the course of fighting against imperialism and the expansionism. This moment we are holding a press-meet in a historic moment because we are going to express even our commitment but not only the opinion.